Product manager for Pilkington United Kingdom Limited, Kristian Chalmers discusses the beauty of decorative glazing in a recent issue of Glass and Glazing Products magazine. Find out what she had to say and pick-up a couple of hints and tips on how best to specify. While architects and building designers have long appreciated the visual benefits of using glass for a property’s exterior façade, more interior designers and homeowners are now choosing to install statement interior glazing to add character to their properties. From partitions and panelling to splash-backs and shower screens, glass is being used in a variety of creative settings. It can be used to strike the perfect balance between light and privacy, while complementing the style of both modern and traditional buildings. Decorative glass can be installed to great effect in both small and large rooms. If dimensions are tight, installing a glass wall or panel can make the space feel bigger and brighter. Alternatively, in larger spaces, glass partitions can provide homeowners with a compromise between open-plan and partitioned layouts, without taking up any space. The Pilkington Oriel collection and Pilkington Texture Glass range are premium ranges of decorative patterned and etched glass, offering solutions for all types of domestic and commercial installations. Click here to see the full range of patterns. When installed between kitchens and dining areas, or living rooms and studies, the patterned glass allows homeowners to continue a decorative theme between rooms while also offering a degree of privacy and noise reduction. 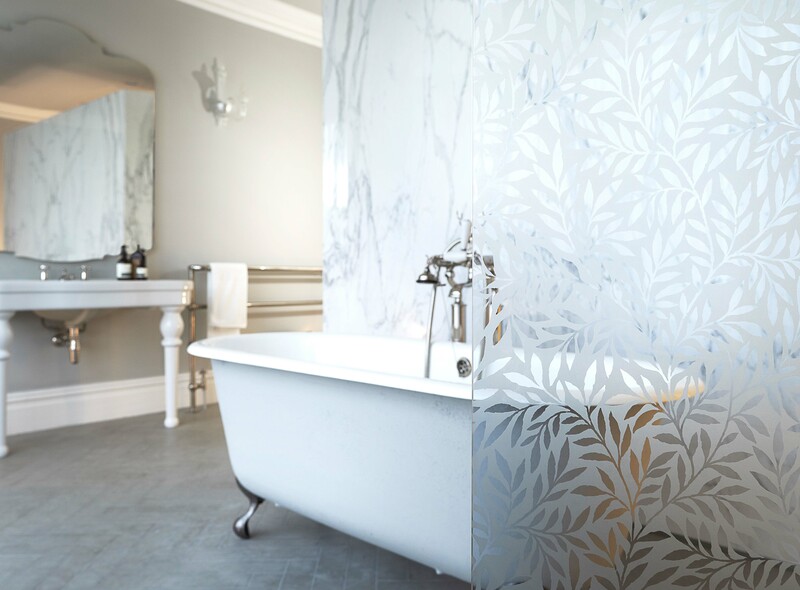 My top tip: specify a, textured or more detailed patterned glass to naturally increase the levels of opacity and privacy - a key consideration in bathrooms, shower rooms and en-suites. In the last five years, the technology used to apply imaged by ceramic frit paint or etching has advanced dramatically and this has led to greater capabilities and quality control across the industry. Decorative glass ranges combine aesthetics and functionality. Looking ahead to the next generation of interior design trends, it’s likely that internal glazing will continue to play a major role as more of us look to take advantage of the benefits and flexibility that glass offers. To read Kristian’s article in full, click here. And for more information on Pilkington Obscure glass, visit the website here.